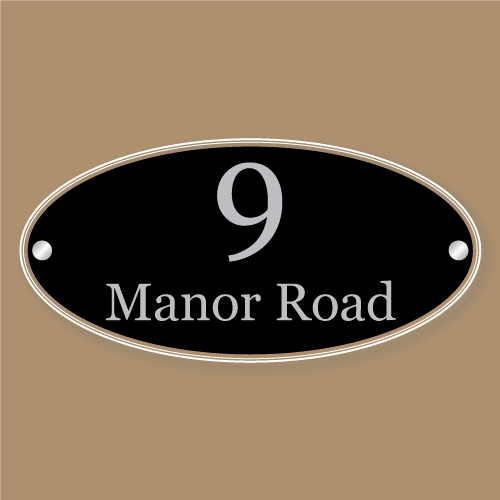 This oval shaped acrylic Perspex sign is available in a range of sizes and the smaller sizes are a perfect size for a house number and the larger for both a house number and/or house name or your street name. Dependent on size these are laser cut from either 5mm or chunky 8mm thick clear acrylic with polished and bevelled edges. 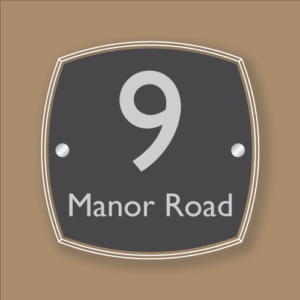 You are welcome to choose from our wide range of font typefaces and various colours for the number/house name and sign background. 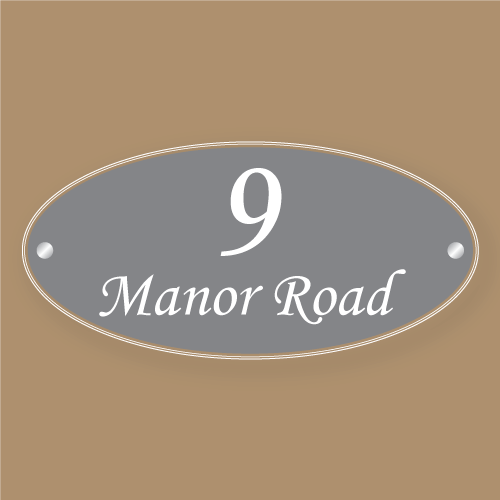 These can be designed to suit both modern and more traditional properties. 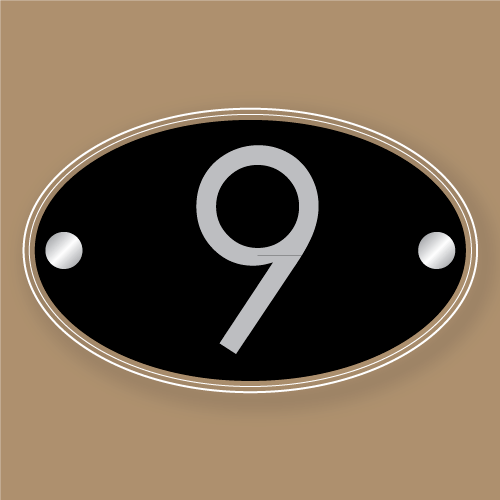 Both number and sign background are printed to the reverse of the clear acrylic in order to maintain a ‘glass effect’ look to the face of the sign. This method of manufacture not only ensures that you have a great looking sign but it also makes it have excellent weathering and durability properties. This type of sign requires little to no maintenance at all and you can expect it to look as good as new for 10+ years. 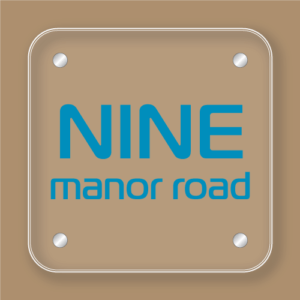 The sign comes supplied with 2 satin finish anodised aluminium stand off fixings which elegantly hold the sign slightly way from the wall or door. Screws and rawl plugs are also included as well as a fixing template and fitting instructions. Anyone with even the most basic DIY skills can expect to fit this in around 5-10 minutes. 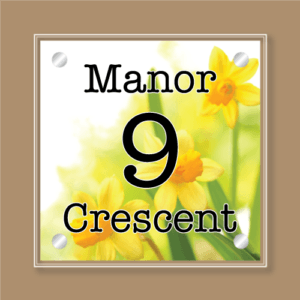 This design is perfect for my house name and I was able to enlarge the font as required.